Archaeologists are now excavating a recently-discovered shipwreck found in southeastern England, which is believed to date from the Tudor-era. 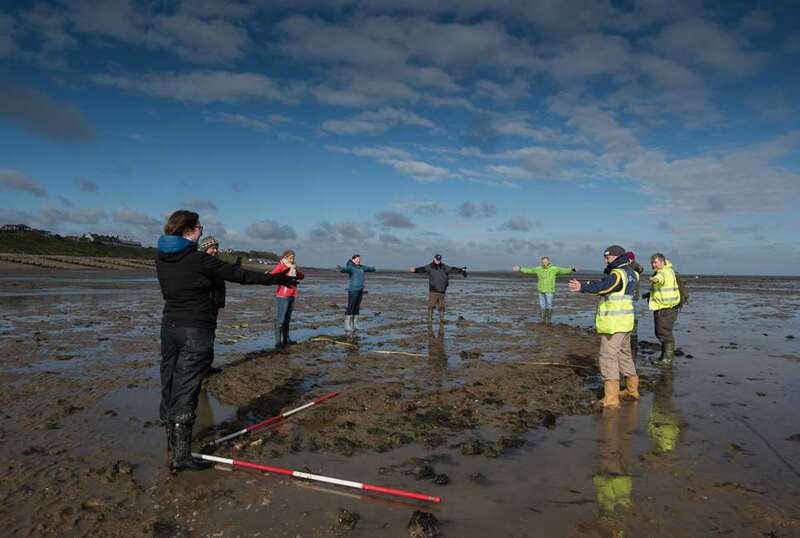 The remains of the ship were first found in 2017 by a group of volunteers from a local history and archaeology society at Tankerton Beach in Kent. The wreck is exposed in mudflats when the tide is low. Historic England commissioned Wessex Archaeology, assisted by volunteers from Timescapes to survey the exposed remains which measure 12.14m long x 5m wide. Two trenches that were excavated revealed the presence of well-preserved hull timbers from the keel up to the turn of the bilge, where the bottom of the ship curves to meet the vertical sides. Dendrochronological sampling has revealed that one oak plank is of southern British woodland origin with a felling date from the year 1531. Three other oak samples were tentatively dated to the 16th century, with elm, larch and beech timbers. The construction of the hull suggests that the ship is a late 16th century, early 17th century carvel-built single-masted merchant ship of 100-200 tons. The proximity of the wreck to a well-known copperas works provides some context for the wreck. Copperas, also known as green vitriol – hydrated ferrous sulphate, was largely used in the textile industry as a dye fixative and in the manufacture of ink. Copperas works are known at Whitstable from 1565 and it is possible that the Tankerton Beach wreck was engaged in transporting copperas before being abandoned at the coast edge in an area of what was once tidal salt marsh. The UK government’s Department for Digital, Culture, Media and Sport has scheduled this wreck and another in Camber Sands on the advice of Historic England, giving them protection. The Tankerton wreck has been given protection because it is the only known surviving Medieval shipwreck in south-east England. It gives us evidence of Tudor/early Stuart shipbuilding techniques and the late Medieval copperas industry along the north Kent coast. The other recently discovered ship dates from the 18th or 19th century, and maybe the Avon, which was reported to have ‘stranded and drifted alongshore to the east of Rye Harbour and received considerable damage’ in August 1852.